Ground Cherries, Husk Tomatoes and Tomatilloes. Only a small booklet but it covers the various species in some depth. N. America - Wisconsin, Virginia, Ohio. Indiana and southwards. 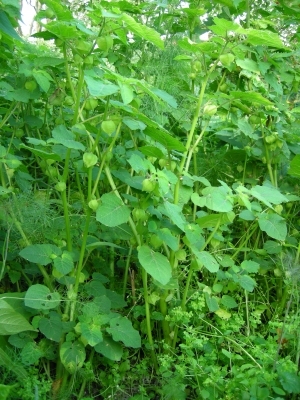 An annual plant, it can be grown in any area of the world that has a growing season of 4 months or more.